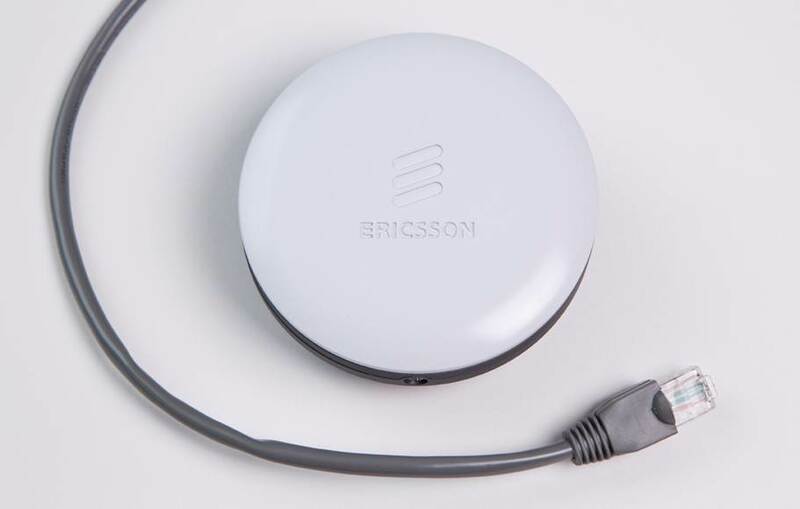 Switzerland's leading telecom provider Swisscom is among the first operators worldwide to trial the elegant, ultra-compact indoor small cell, Ericsson Radio Dot system, in enterprise buildings. The two companies expand their existing cooperation on indoor and outdoor small cell coverage to cater for the explosion of data traffic. In 2013 mobile network traffic increased by 100 percent in Switzerland - most subscribers used their smartphones or tablets in-house. Video streaming accounted for two thirds of Swisscom's mobile network data. The Ericsson Radio Dot System integrates seamlessly into the operator's 4G/ LTE and 3G radio access macro-networks to most efficiently deliver seamless mobile broadband user experience for consumer and business services indoors. Ericsson and Swisscom have signed a Letter of Intent giving Swisscom access to the new Ericsson Radio Dot System in advance of general availability. Because of its convenient size, scalability, macro feature parity and evolution path, the Ericsson Radio Dot System can be deployed in a broad range of enterprise buildings and public venues, including the medium-to-large indoor locations not addressed by current solutions, to support both Enterprise services and consumers. The Ericsson Radio Dot System introduces a revolutionary antenna element, or "dot," which delivers mobile broadband access to users. It is compact, weighing 300 grams or 10.5 ounces, and easy to mount. Patrick Weibel, Senior Architect Wireless Strategy Swisscom: "Our customers are used to always receiving the best possible network quality for their mobile phone, tablet or notebook user experience. By integrating it with our 4G/LTE and 3G networks, the Ericsson Radio Dot System can deliver a seamless mobile broadband user experience for our consumer and business services inside enterprise buildings and public venues." Valter D'Avino, Head of Ericsson Region Western and Central Europe, says: "Swisscom has been awarded best quality mobile operator in Switzerland for the past several years in a row. As sole supplier to their 4G/LTE and 3G radio and core network we are also committed to support Swisscom with best possible indoor experience for their customers. The Ericsson Radio Dot system can complement the pico and micro base station outdoor and indoor deployment Swisscom has already started."